Cheers to drinking at work! After a long hard day at work it’s nice to hit the bar for happy hour. But it’s even nicer, and more relaxing, to have the bar come to you! That is the concept behind a new, 2013 initiative that I launched at my work, the San Francisco office of branding and design firm Landor. I call it Sip ‘n Learn™—and I think the name says it all. It’s great to drop by the local bar with some co-workers and it’s nice to have occasional internal happy hours, but I wanted to offer a little more: a high-quality cocktail experience presented in a salon format. Don’t get me wrong. I am not trying to do away with the usual drinking options. Company-sponsored happy hours are great. Hey, who am I to turn down free drinks of ANY kind? And nothing beats the local bar for hob nobbin’ after hours with likeminded souls. What I have done here is added to the arsenal of imbibing! 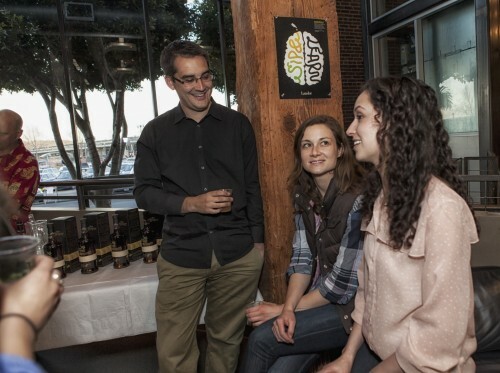 Robert, the Zacapa brand ambassador who graciously got everyone drunk taught everyone about the finer points of rum. Now at my office you can experience spirits with minimal effort which maximizes your enjoyment. Here’s how: Almost all liquor brands have brand ambassadors. Brand ambassadors are experts on the brands they represent. 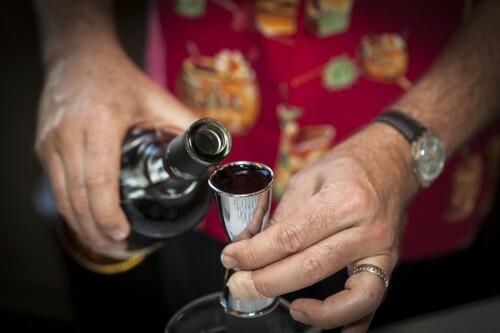 They know the history, the making-of, the tasting notes, and how to mix it. And it is their job to impart that knowledge to a thirsty public. Normally they travel from bar to bar or to national and international expos and competitions trying to get their brand into your mouth, or a judge’s mouth, but who’s judging? I arranged for an ambassador to join me and my co-workers and impart some knowledge while we emptied a few bottles of his brand. 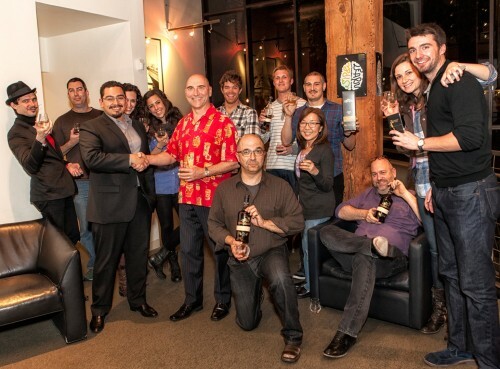 To kick off the program I chose my favorite rum and one of the best rums in the U.S. in its pricepoint: Ron Zacapa. To dispel a common misconception, Ron is not the name of the maker, ron means rum in just about every non-English speaking country, and Zacapa is the name of the town where it is distilled in Guatemala, also known as Zacapa Centenario, aka Zacapa 23 because they blend there some of their 23-year-old rum. The actual age statement is 6-8 years and typically an old rum is 15 years. So to state that you have a 23-year-old rum is pretty impressive, no matter what percentage makes it into each bottle. 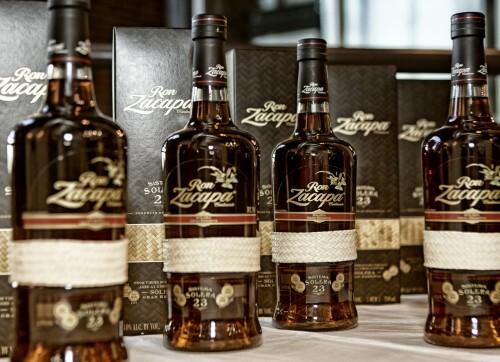 Zacapa takes great care to age its rum, using a four-barrel aging process that impart a wide variety of flavors. 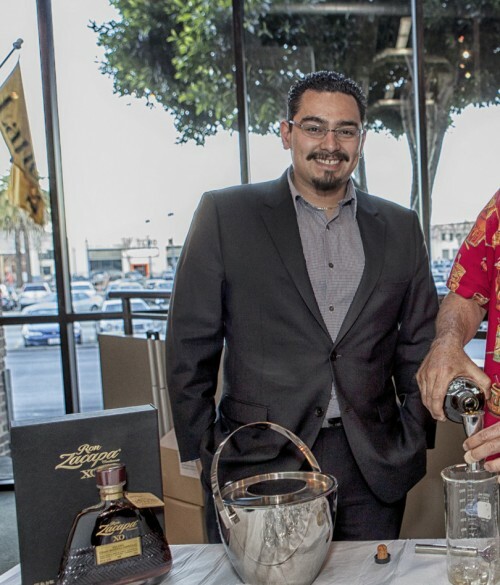 We started off with Zacapa daiquiris, then moved on to history lesson, distilling information, and other anecdotes while we sipped Zacapa 23 from custom branded glassware. The rich vanilla and brown sugar and slight orange and cinnamon swirled over my tongue. The buttery smooth feel and fine finish make Zacapa a rare breed—a sipping rum. All the flavors are derived naturally from pure sugar cane press and the variety of barrels—there are no additives in Zacapa. We ended the evening with an even more exquisite offering—Zacapa XO. This product is distilled, blended, and aged completely separate from Zacapa 23. XO uses three of the same barrels as 23 but a different fourth barrel, a sherry barrel, is used to give the rum a crisper, more refined finish. The blend is from 6 to 25 years and it shows in the complex flavor. Hints of cinnamon, nutmeg, honey, and orange are bolstered by woody and mild smoky notes. The buttery essence allows XO to roll over your tongue as if it is floating in the clouds. I could have learned a lot more from Robert that night but I was busy mixing daiquiris for my happy co-workers. 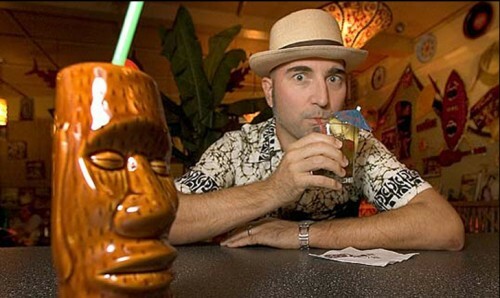 Otto produces the largest Tiki Weekender in America, Tiki Oasis. You can always find him at local Bay Area Tiki bars spinning records (Forbidden Island) or just drunken (Smuggler’s Cove). Otto has published three volumes of contemporary art books, Tiki Art Now! Vol. 1-3; has written the forewords for Bottomless Cocktail: The Art of Shag and Leeteg of Tahiti; and founded the award-winning ‘zine Tiki News. A version of this post was published on Landor’s blog.